This is a round National Cyclists Union porcelain sign. This particular National Cyclists Union sign is blue with orange print. 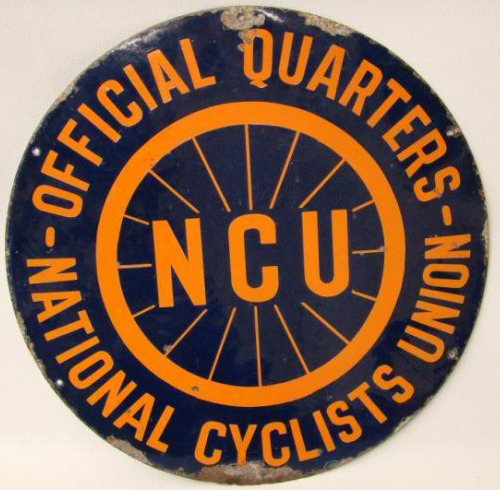 It reads, “National Cyclists Union, Official Quarters, NCU” and features wheel spokes in the center.